Wishing a very Happy Birthday to Her Majesty Queen Elizabeth II on the occasion of her 90th birthday. This is the Queen’s actual birthday. The Queen also has an ‘official’ birthday on a Saturday in June. The tradition of two birthdays was started by George II in 1748. George was born in November and felt the British weather would be too cold at that time of year for his annual birthday parade. So he combined his birthday celebration with an annual spring military parade known as ‘Trooping the Colour’. This year Trooping the Colour will be on June 11th. 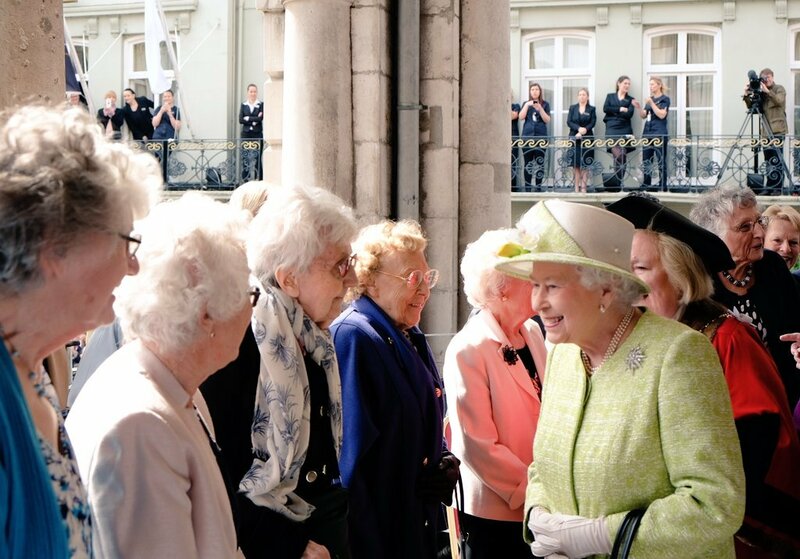 Today Her Majesty marked her actual birthday by meeting some of the thousands of well-wishers who came out to mark the occasion in Windsor. And met with local residents who were also celebrating their 90th birthday.